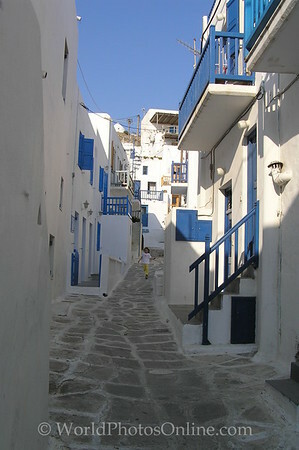 I visited Mykonos in 2004. It is primarily a tourist destination with bars and cafes as well as great scenery with beautiful white buildings with blue trim and windmills rising above the town. It is the key transport hub for Delos.